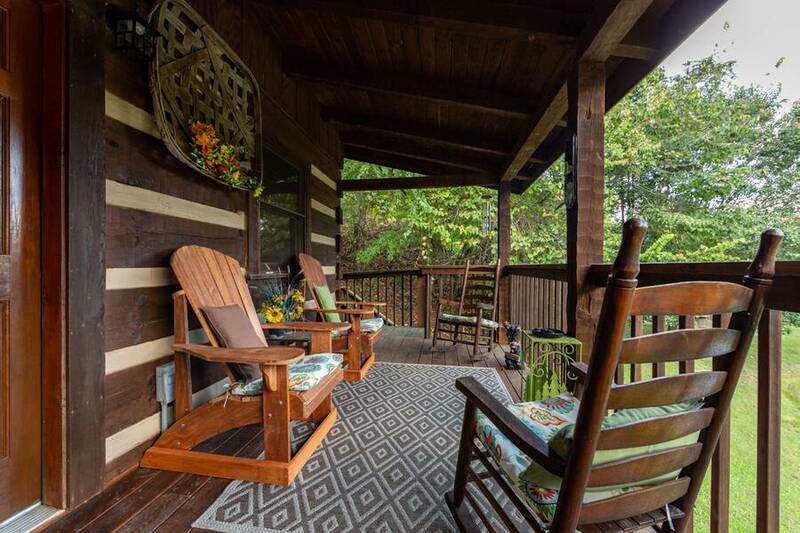 Welcome to Back to Nature in Pigeon Forge! 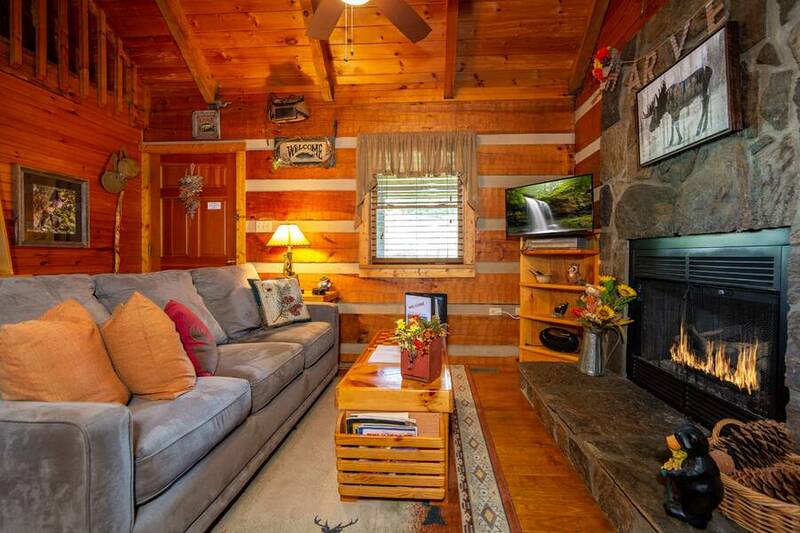 This whimsical 1 bedroom, 2 bath Smoky Mountain cabin rental is located right on the bank of a spring fed, stocked, catch and release fishing pond. 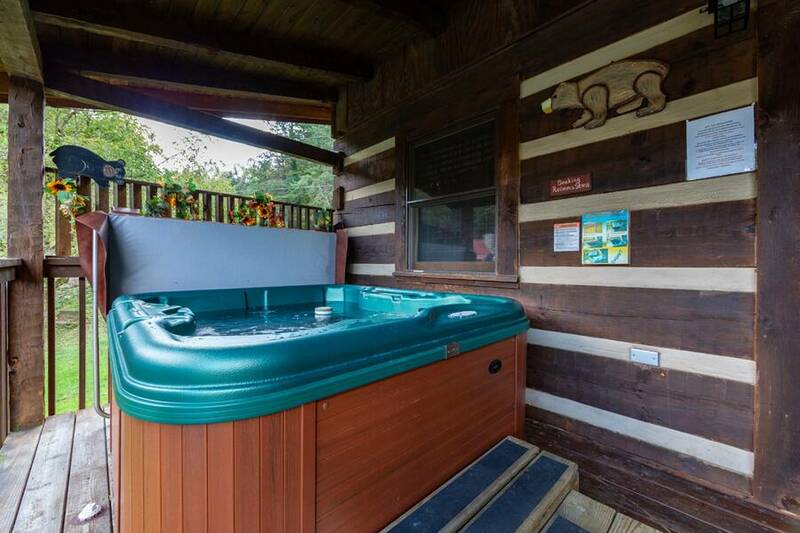 While staying at this beautiful cabin, you’ll appreciate its location that offers you and your guests quick, easy access to dining, attractions & shopping without having to navigate the sometimes congested Parkway. 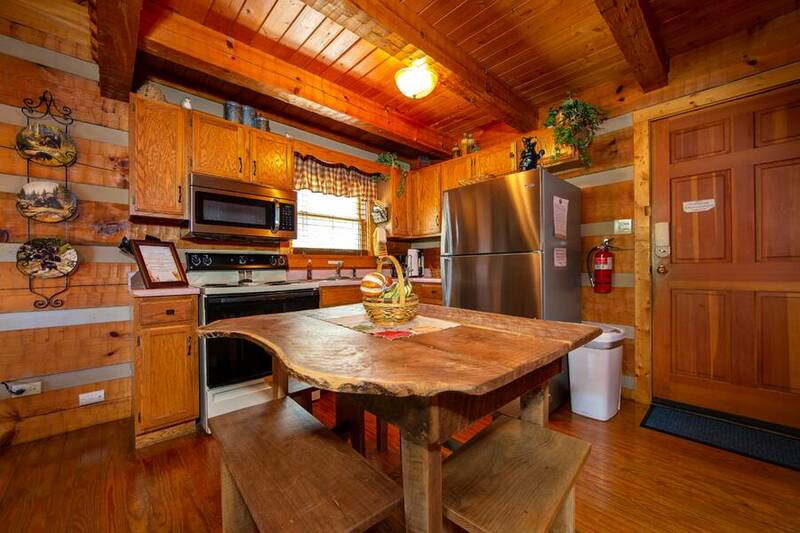 The main level at Back to Nature features a wonderful kitchen and dining area that is perfect for preparing and serving your very own in-cabin meals while on vacation. 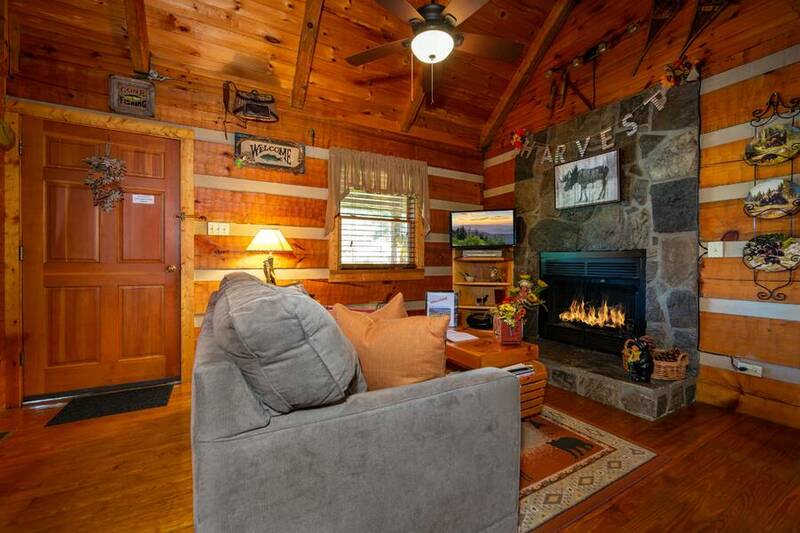 In the living room, you’ll find a cozy, stone accented fireplace, comfy seating, a flat screen TV and access to the main level covered deck. 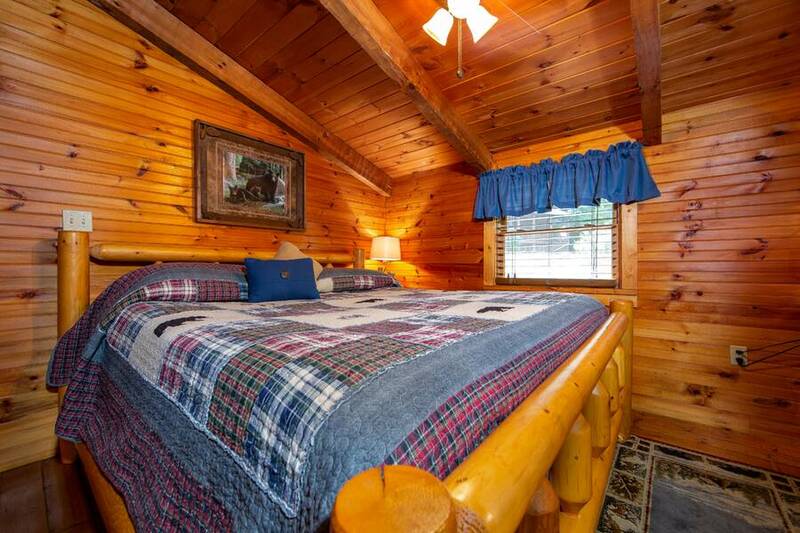 Just off the living area you’ll find a queen bedroom with custom carved headboard and a full bath for additional privacy and convenience. You'll love the high thread count sheets for exceptional comfort on your vacation. 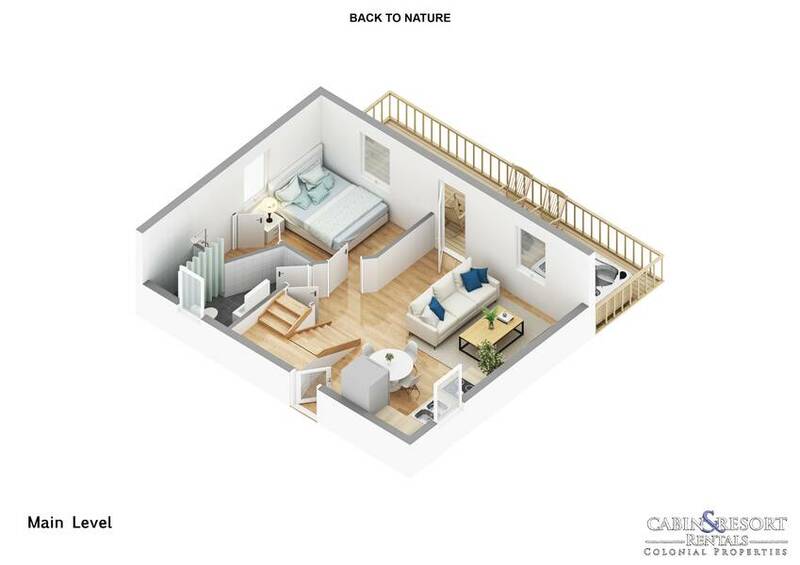 Venture upstairs at Back to Nature and you’ll find the amazing loft bedroom. 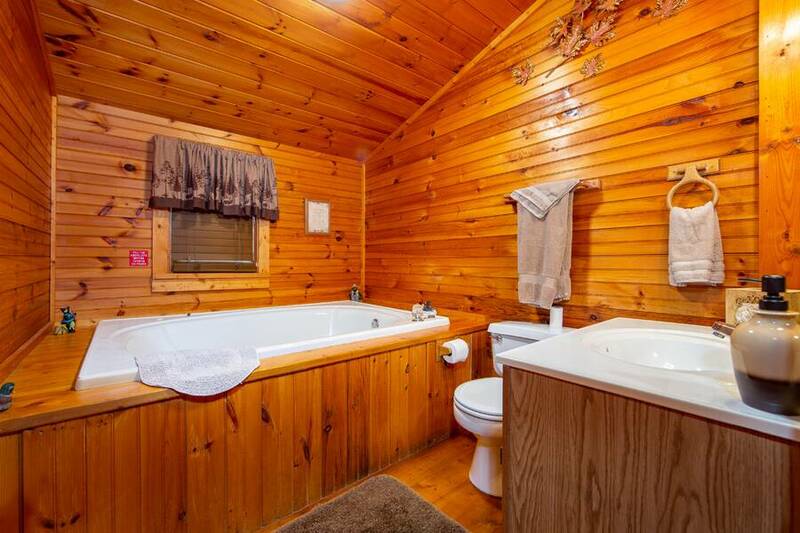 This entire level is dedicated to exceptional comfort and relaxation. 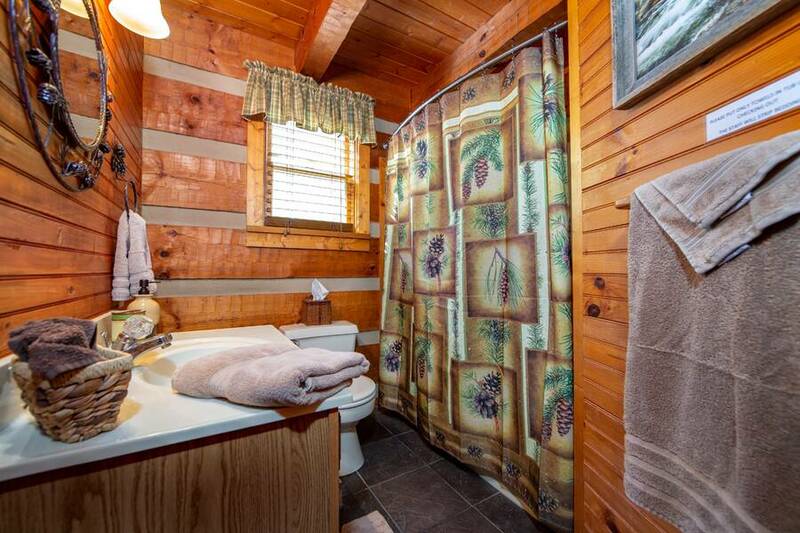 Here you’ll find a log king bed, flat screen TV, sitting area and a bath with a soothing oversized jetted tub. 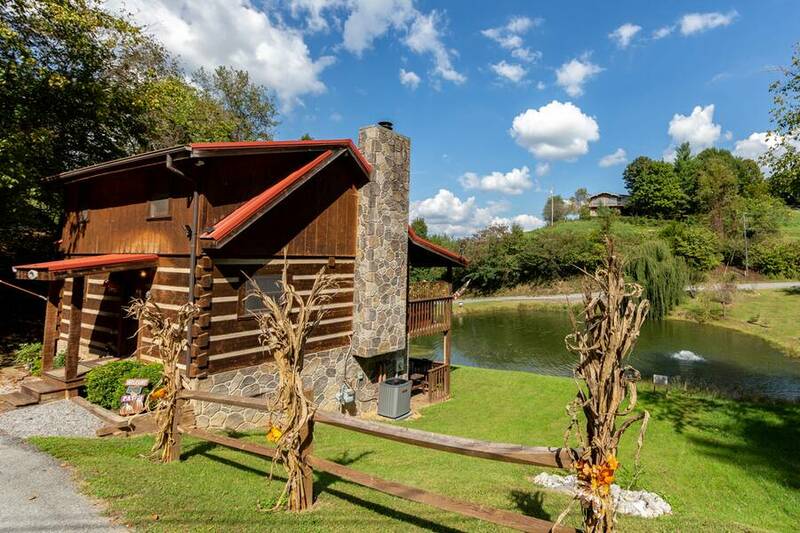 Take a step outside at this Pigeon Forge cabin rental and you’ll experience a picturesque pond-side setting. 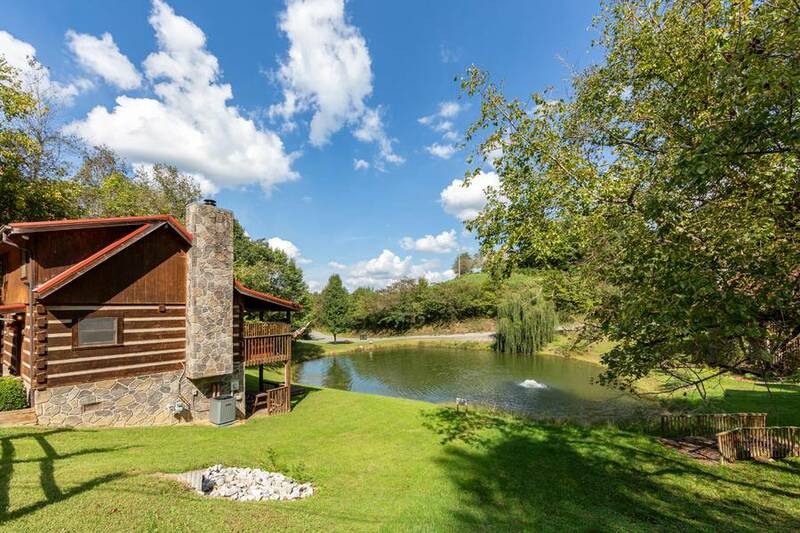 Don’t forget to pack along your fishing pole so that you can sit on the bank of the yearly stocked catch and release fishing pond and cast your cares away as you catch trout, catfish or bass. 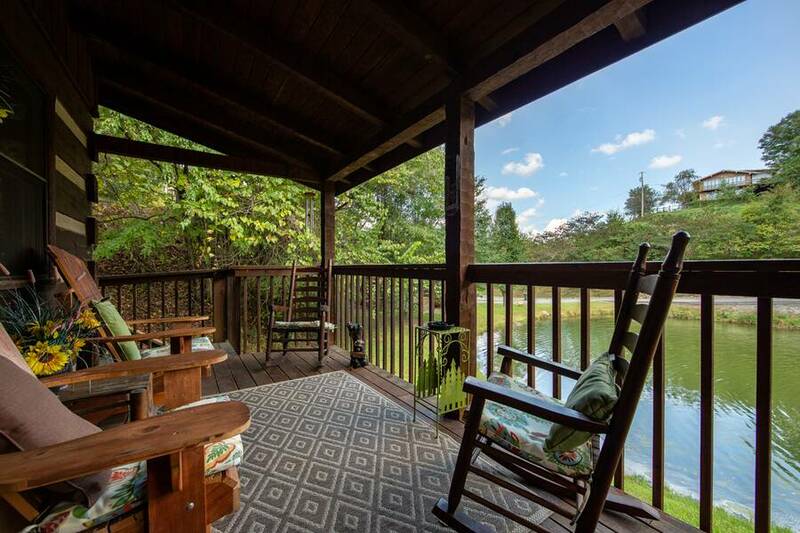 Located on the lower level of Back to Nature is a dock inspired deck, BBQ grill, rocking chairs and porch swing. Here you’ll also have access to the laundry room on the lower level. 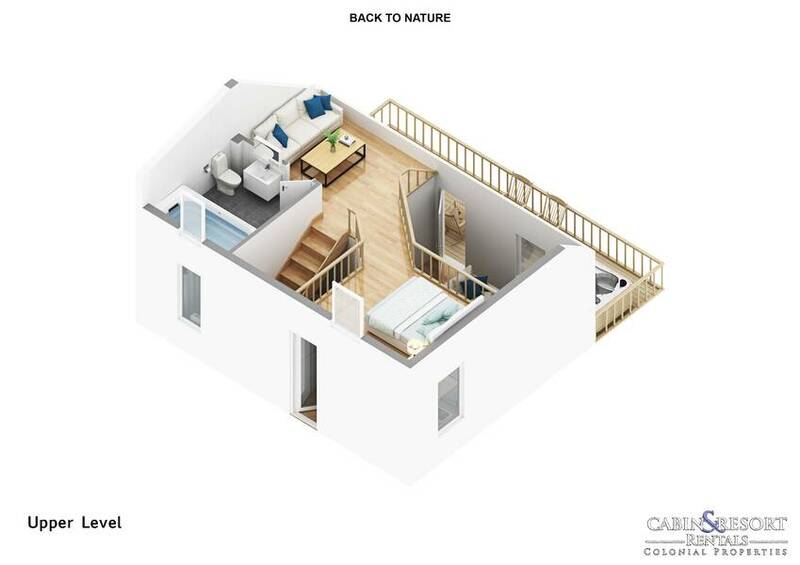 For added convenience, Back to Nature does have ramp access for those that find it difficult to navigate steps. 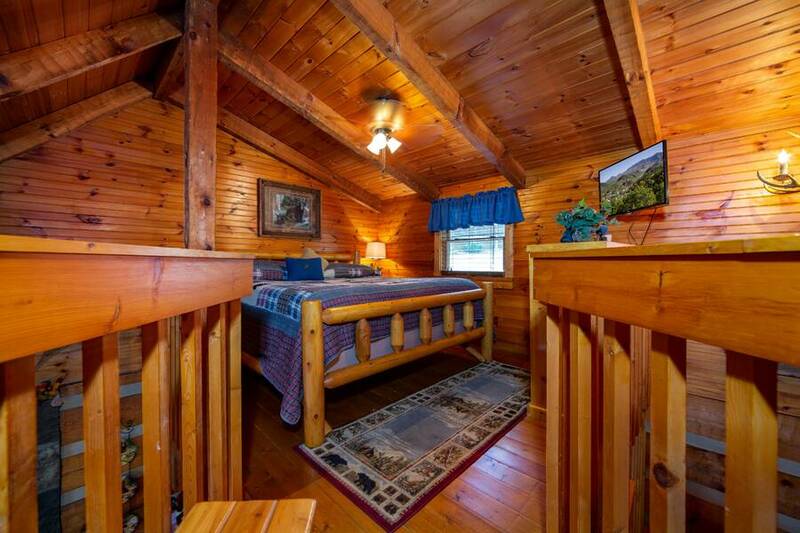 If you’re searching for a newly updated Smoky Mountain cabin rental with luxurious towels and bedding, easy access and fantastic amenities that are certain to make you feel right at home, then reserve your stay today at Back to Nature! 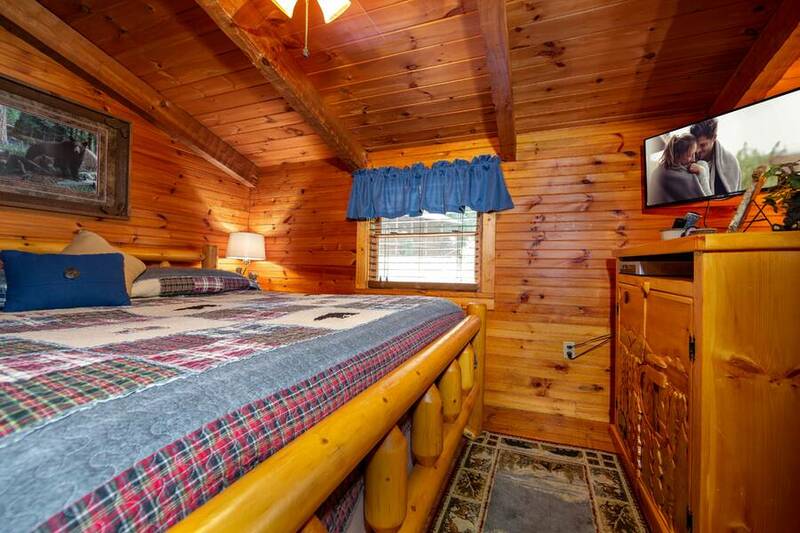 A: It is in a resort setting with other cabins. 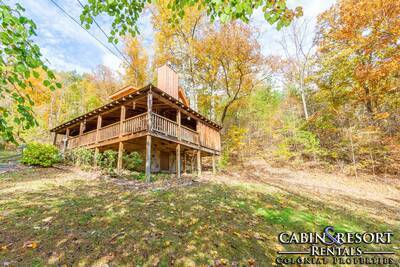 There is a property location map located at the bottom of the cabin page that will assist you, switch it to sat view. A: Hey Melissa! 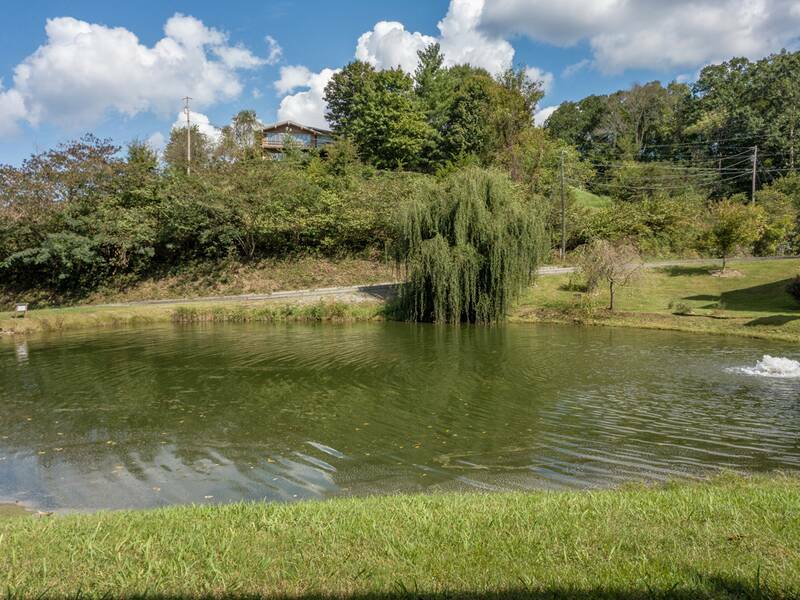 The pond is for fishing only. A: Service dogs are welcome. A: Hi Brian! 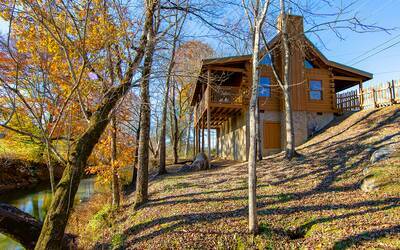 Back to Nature is located within Hideaway Ridge Resort. A: Hi Melissa! Back to Nature is not pet friendly property. 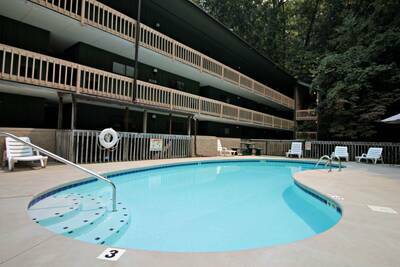 We do have other properties on our program that are pet friendly. A: Hi Karen! Back to Nature does not offer internet access. We do have other properties on the program that do. A: Hi Dayna! 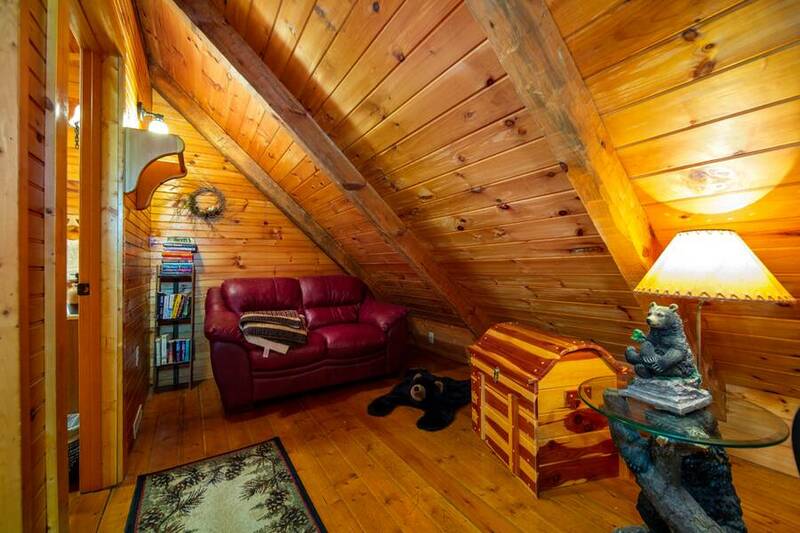 There is a bedroom located in the loft area. A: Hi Holly! 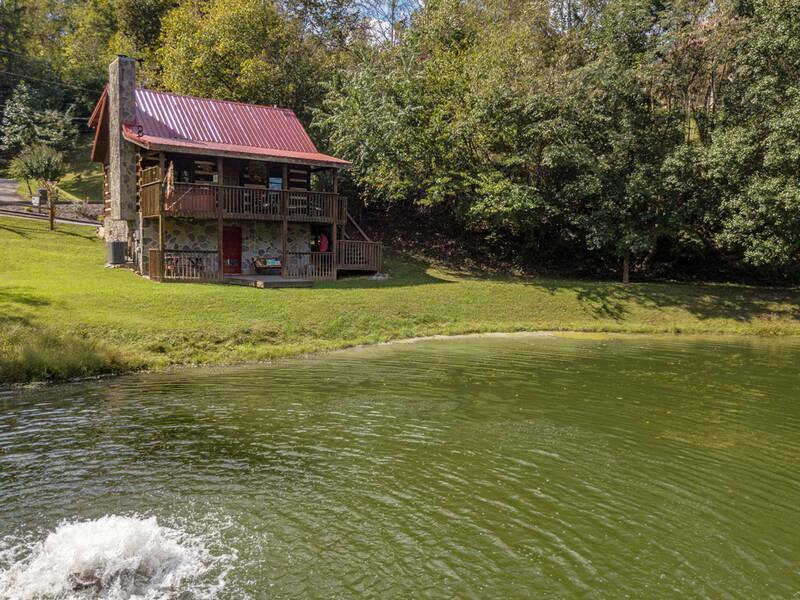 Yes, this is a catch and release pond. 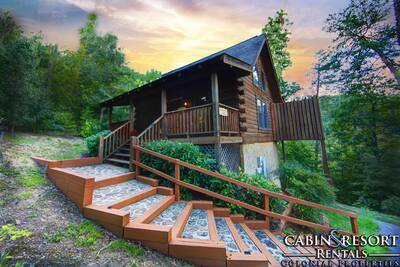 “ The cabin was perfect for our quick little getaway. 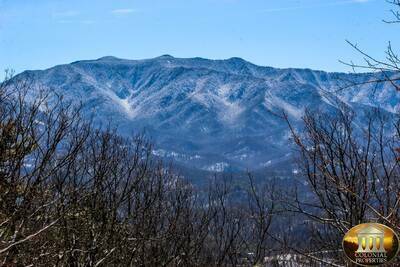 Can't wait for our next trip to the mountains! “ Very happy I got to tag along for vacation. Loved the pond and seeing the ducks! Too cute. Saw turtles at the pond too. 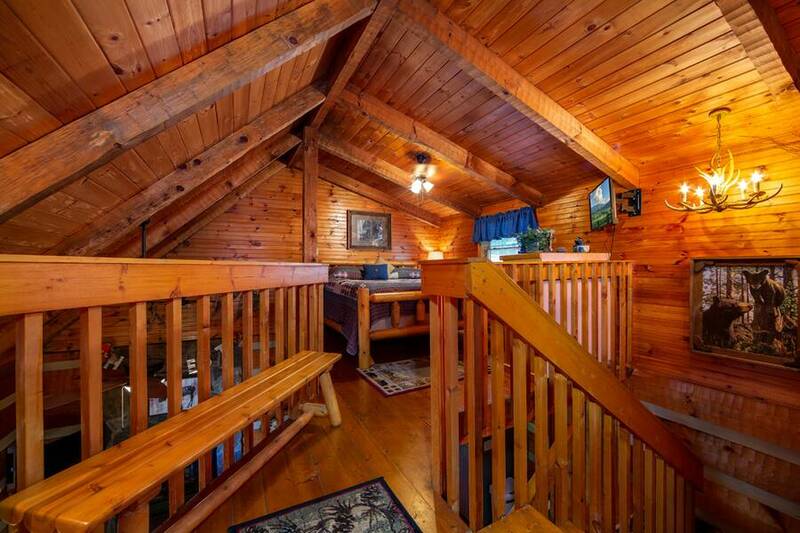 Great cabin and loved the loft bedroom. Very nice! 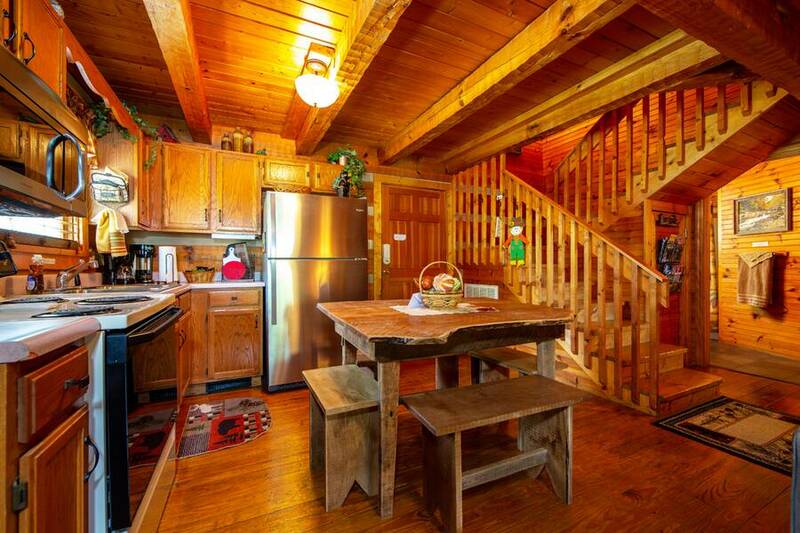 “ We really enjoyed staying in this cabin - everything was PERFECT! We were just married the weekend before and this was the perfect little getaway to celebrate! We hope to return! 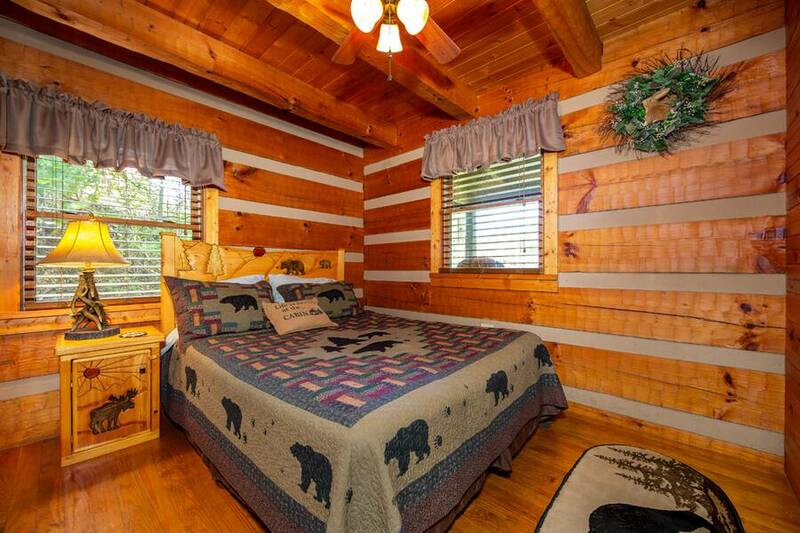 “ Great place for a weekend honeymoon! We felt cozy and comfortable. I would stay again.